Here are our answers to some of the questions that we come across about wicker coffins, funerals, natural burials and what happens to a coffin at a cremation. 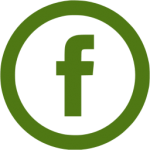 We hope you find this page informative and useful in answering some of your questions about natural burial and funeral planning. 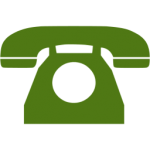 If you have any questions about our wicker coffins in particular, please do not hesitate to reach us through our contact page. How much is a wicker coffin? Can you be cremated in a wicker coffin? Can you be cremated without a coffin? What is the history of willow coffins? Can I buy a child or infant coffin? Do wicker willow coffins creak? Can you make extra large coffins? Do I have to buy a coffin from the funeral director? Is a nameplate required for a coffin? Do wicker coffins have a liner? How do I buy a wicker coffin? What can you put in a coffin for cremation? What is a natural funeral or green burial? A natural burial differs from the traditional funeral in a cemetery or churchyard, by the use of natural materials and guidelines. 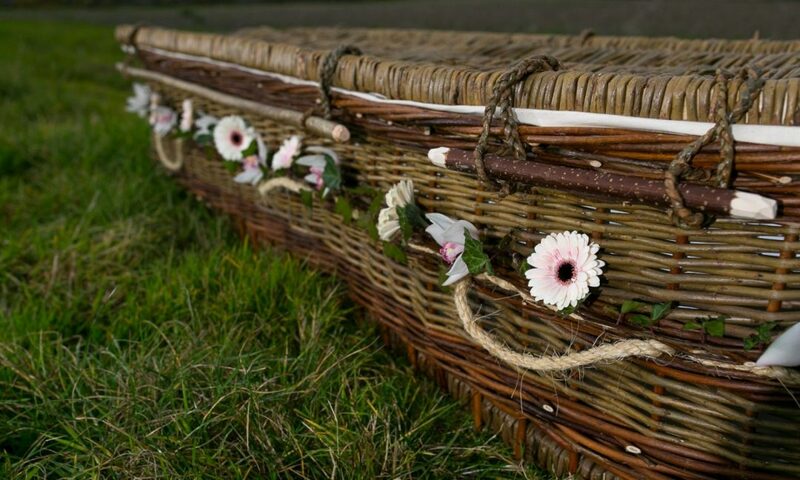 Essentially natural burial sites will only accept bodies that have not been embalmed and they must be buried in biodegradable coffins; our wicker coffins are suitable. These natural burial sites are cemeteries where graves are not marked by gravestones, having instead memorial planting of trees or flowers. Some sites may have buildings in which to hold a ceremony and entertain afterwards. Most celebrants or ministers are happy to cover a ceremony in these buildings. The range of burial sites on offer is fairly broad, some with conventional lawn style cemeteries, with trees instead of gravestones, others on agricultural sites, where the land continues to be farmed. The best resource for locating your nearest natural burial site is via our links page. Wicker coffin prices vary hugely depending on the type of coffin you wish to purchase, where it is made and who you choose to buy it from. In comparison coffins, through suppliers that vet quality carefully, prices can start at around £300 for a cardboard coffin, whereas bespoke hardwood coffins can cost in excess of £2000. Buying an English handmade coffin is a great marker of quality, as our standards here in the UK and particularly at Sussex Willow Coffins remain high. The bargain price cheapest wicker coffins that can be found on the internet for rock bottom price tags, are usually from the Far East and often of questionable quality. We do not publish our prices online, as we do not wish to be compared to cheap imported coffins, such a comparison does not appreciate the quality and time that goes into making a Sussex Willow Coffin. All our customers are treated as individuals, with their own set of needs and preferences. We are happy to discuss what best suits you, including the pricing. If you require a price for one of our coffins please contact us. Can wicker coffins be cremated? Yes, wicker coffins can be cremated or buried. Wicker coffins are ideal for cremation; Willow is a fast growing and sustainable wood resource, which makes it particularly applicable for the short lifespan of a cremated coffin. A wicker coffin has a large surface area due to its construction using small willow withies. Willow wood itself provides a high temperature and rapid combustion during the cremation process. Willow is a reputable wood, often used for kindling and is the principle type of wood in the production of fine charcoal, for the pyrotechnics industry. No. The idea that coffins are re-used by crematorium staff or funeral directors is entirely a myth. Because the coffin itself is an important part of the cremation or burial process. The coffin is required to carry the body into the crematorium or burial ground. During cremation the coffin is charged (placed into the cremator) from a metal table; either automatically or manually. Can you get cremated without a coffin? The short answer is yes. You are not legally required to use a coffin or casket to cremate a body. The law simply stipulates ‘It is an offence to expose a dead body near a public highway as this would outrage public decency’. Therefore the body should be covered in public, how it is done is the choice of whoever is responsible for disposing of it. For the purposes of cremation, it is possible, yet uncommon, to have the body contained in a shroud then use a “charging board” to place the body on. However, this option is often fraught with additional challenges when carrying and handling the body; which could result in unnecessary distress and embarrassment. What is the history of wicker coffins? Wicker coffins are not a new idea, although wicker caskets in some form were likely used in ancient times, we can certainly trace them back to the late 19th century; where they were employed as a solution to the overcrowding in London’s cemeteries. The earliest advertised Wicker Coffin, advocated by the Duke of Sutherland and produced in 1875 by the Necropolis Company, was the ‘Earth to Earth’ willow coffin. With which it was suggested should have “ferns, moss and herbs placed inside the coffin and be buried slightly higher in the ground, to encourage decomposition”. Can I buy child or infant coffins? In the unfortunate event that one should be required, we can make wicker coffins to children and infant sizes. We have made ‘infant cocoons’ and child caskets out of green and buff willow. Time and care will be taken to discuss your requirements. Do willow wicker coffins creak? All wicker coffins will make some noise when used, due to the woven construction; however the amount it creaks does vary hugely depending on the tightness of the weave and the material used. 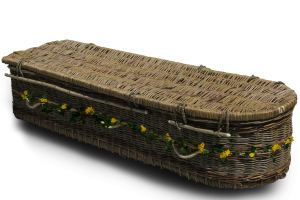 Very often the cheaper imported wicker coffins, are of looser construction and will creak more than an English willow coffin; which are generally tighter woven. Sussex Willow Coffins are made using lots of natural green willow, which still has the bark on. This reduces the amount of creaking considerably, due to the waxy nature of the bark. Our “Green Willow Coffin” makes very little noise whilst being carried. Can you make extra large coffins or custom sizes? Yes, we can make custom coffins to any size you require and to hold as much weight as is required. We have techniques for increasing the load a coffin can take, broader shoulder widths and increased depths. We will however need a slightly longer lead time as these custom coffins will be made to order rather than kept in stock. 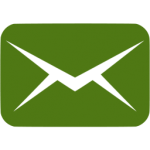 Make contact here to discuss your requirements. No, there is no need to buy a coffin from a funeral director. If you will be arranging your own coffin, it is good to let them know at an early stage. Once your coffin is ordered, we can arrange delivery to your funeral director or an address of your choice. Is a name plate required for a coffin? Yes, if the wicker coffin is going to be cremated then it is required to have a nameplate, most cemeteries will ask for one too. A name plate needs to state the full legal name of the deceased. Often the age, birth and death dates are included. You can include anything else you wish, as long as the above information is clearly stated. We offer a natural handmade wooden name plate made from Sussex ash timber, at a small cost. Do wicker coffins come with a liner? All our coffins have a double liner fitted. This is made up of a biodegradable plastic layer, with a calico cotton outer layer; hand sewn onto the coffin for a soft comfortable finish. We are happy to make coffins with or without a liner if required. To order a coffin please contact us on 01273 671430 or email us info@sussexwillowcoffins.co.uk. We are happy to discuss your requirements and answer any further questions, just use the quick and easy buttons below. In most cases you are allowed to add things inside the coffin or even attach things to the outside of the coffin prior to cremation. I had a Sussex willow coffin made by Jake for my Dads natural burial ceremony in June this year. It was beautifully made and absolutely perfect for my Dad. I had discussed it with him before he died so I know it was exactly what he wanted. Nothing was too much trouble for Jake and I felt like we received a very personal service. If you are looking for a coffin made of natural material I would recommend Jake. My dad was being buried in Wales, but I was unable to find a willow coffin maker anywhere near who was available. As a last resort I looked up Willow Coffins in Sussex, where I live, and found Jake. He was able to create a coffin within our timescale, and get it delivered to our funeral director in Wales with no problem. Unfortunately I didn't have an opportunity to visit Jake at his work place, so instead chose a design from photos on his website. Although I had every confidence he would do a great job, when we saw Dad's coffin on the day it surpassed all expectations. It was a work of art, and absolutely perfect for my dad who loved all things woody and rustic. The family all gathered round and took a moment to admire Jake's workmanship, the details were lovely, from the lettering on the wooden nameplate to the braided loops holding the hazel rods. Our funeral director said she has never seen a more beautiful coffin, and we all concurred. Thank you so much Jake, I couldn't recommend you more highly. Having Jake make our father's coffin was just perfect. Being able to go out to his workshop and see how he worked and know that the coffin we chose was as ethically and environmentally as sound as it could possibly be was really important to us as it would have been to dad. On the day of the funeral lots of people commented really positively on the coffin because it was such an unusual choice and because you could see that it had been hand made with care rather than just something that had been shop built. Jake was helpful and supportive throughout, suggesting options rather than pushing them on us and delivered all he'd promised in plenty of time so there was nothing for us to worry about throughout our dealings with him. We were looking for something unique and special and that's what we got. Thanks again Jake. Matt, Lizzie and Chris.